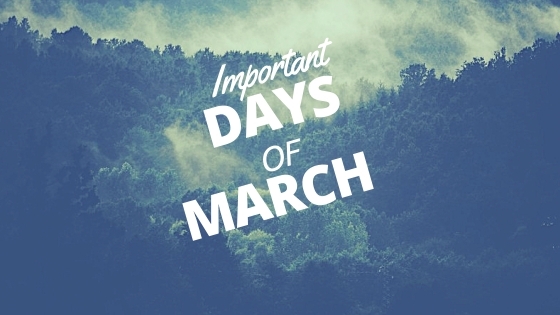 >> Important Days of March 2018 !! National Pi Day- Why today? Because today is 3.14, the value of Pi. Submarine Day - the hero sandwich or the boat? ?